The Blessing: A Memoir by Gregory Orr. Council Oak, 209 pages. 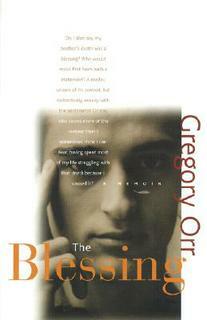 Gregory Orr’s The Blessing is one of the finest memoirs I’ve read. There are tons of good memoirs and more than a few great ones, but this one did it for me. It joins a select handful that thrilled me to my toes: Lee Martin’s From Our House, Dinty W. Moore’s Between Panic and Desire, Ann Patchett’s Truth and Beauty, Alison Smith’s Name All the Animals, and Tobias Wolff’s This Boy’s Life. In its subject, The Blessing is reminiscent of Darin Strauss’s fine memoir Half a Life—both authors caused a death when they were young—but The Blessing necessarily covers much more ground, involving as it does Orr’s family, especially his parents, on an extensive level. When Orr was twelve, he shot to death his eight-year-old brother Peter in a hunting accident. This horrific event shattered Orr; it may have shattered his parents, but it is hard for Orr to say, since they’d already lost another son, in a preventable household accident, and were troubled separately and together. They presumably also harbored their own guilt for both deaths. Orr’s father, a charismatic and careless rural doctor, is a drinker, drug addict, and philanderer. He may be haunted by a tragedy that happened in his own childhood. In the wake of the family’s second boyhood death, if any comforting of Gregory Orr is to be done, it will have to come from Orr’s mother—but she fails to do so. He’s abandoned to intolerable and almost unbearable guilt and shame. Soon his father moves his family to Haiti, where they work with the poor, and there another tragedy befalls them. It’s yet another death that might have been prevented. For all this, The Blessing isn’t accusatory, nor is it close to being ascore-settling expose. Late in the book, a fascinating stage opens when the teenage Orr, hoping to atone by serving penance, drives to Mississippi to help black Americans. It’s 1965, the year after the famous Freedom Summer, and overt law enforcement brutality has abated. Yet what happens to Orr, the humiliation and violence he suffers at the hands of state troopers and in a small-town jail, is hateful and shocking. And, in its coldly planned nature, evil. It all happens calculatedly behind the scenes after he’s arrested, and his account is the most moving and compelling I’ve read from the Civil Rights struggle. The prose in The Blessing is spare without ever being jarring, evocative without being flowery. The book is concise, and broken into forty-five very short chapters, yet feels complete. Its structure appears straightforwardly chronological, with two exceptions, the second striking. After the shooting, discussed from the opening and which is shown occurring in the third chapter, the story flashes back to fill in family details. Then it moves forward to the eve of Orr’s departure for the South—but suddenly it flashes forward to show his nearly suicidal emotional state upon his return, before flashing back to show what happened. The Blessing concludes with Orr moving toward the art that might save him. He became an esteemed poet, the author of some ten collections and also books of critical essays, the winner of prestigious awards and fellowships. He teaches at the University of Virginia, where he founded its MFA program in writing. I asked Orr some questions, below, followed by his answers. Why did you write The Blessing? I think I’m going to be answering this question later on. My wife had encouraged me to write it for many, many years. But I lacked the courage and only did so when I felt I needed to for my own survival. This had to do with my father’s illness around 1995. At the time of his diagnosis, he was told he wouldn’t live six months, though in fact he lived another five years in relative comfort. But our lives, my father’s and mine, were oddly entwined. We were opposite personality types—he a social extravert who loathed self-reflection (“navel-gazing” as he referred to it) and myself a brooder and shy introvert. I had my own traumas—my responsibility for a younger brother’s death in a hunting accident when I was twelve. But my father, otherwise so unlike me, had also, when he was about twelve, killed his best friend in an accident with a rifle. A bizarre and unnerving repetition across generations, further complicated by the (insoluble) question of why I was raised with guns in my childhood house. A tragedy, a mystery, a dark place in human brains or hearts. Who knows? But there we were—my father and I with the same burden or a similar one. I’d always hoped we could speak of this mystery and enter a mutual forgiveness pact of some sort, but my father wasn’t able to talk of his story and didn’t want me to talk of mine. Other than that, I think we loved each other a good deal—but that was a deep and unspeakable deadlock between us much of my life. When I knew he was dying and still wouldn’t speak of it, I got worried. I felt a need to untangle this thing between us before he died, because I didn’t want that guilt to weigh even heavier on me. I felt it I couldn’t talk it through with him, I needed to write it out and sort it out that way. And so, the book began. 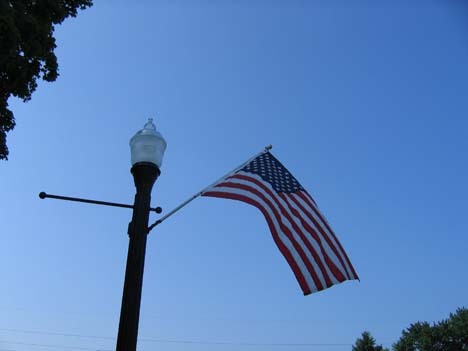 When that need to communicate directly is balked in the world, as it so often is for so many reasons, then many of us turn to writing in order to relieve that need and also to understand ourselves and our world. How many memoirs must get written that way. How did you decide on the book’s length and structure? First, you’d need to know that I wrote it three times, so it varied as to what the length and structure would be. On the other hand, I think I knew pretty early on where the book would end. Shortly after I came back from working for the Civil Rights movement in the South and just before I returned to my sophomore year of college, my old high school librarian took me to visit the rural house and sculpture field of the recently-dead sculptor David Smith. The experience of those sculptures in that setting was pivotal for my sense of my life—until then I’d been drawn to political activism as well as writing, but after the trauma of my experiences in Mississippi and Alabama and the strangely moving positive experience of David Smith’s field, I knew that writing was going to be my main path. I wanted to end there. I also sensed that I needed/wanted to start with my brother’s death, in another field, when I was twelve and killed him in a hunting accident. I was very daunted by the idea of writing narrative, and so the idea of “framing” or structuring a book around two fields—a field of death and a field of the life of art (which moves beyond individual death)—that appealed to the lyric poet in me (we often make meanings bycreating imagistic “echoes”) and also reassured me that there would be some structure that I, as a poet, might be able to work with. Did your voice and scenic technique develop, or were they as effortless as you make them appear? That’s a joke, right? Remember the three (separate and complete) drafts mentioned above. What to say about technique? I do think that as a lyric poet I tend to take crucial moments in an implied narrative and dramatize them as vividly as possible. That may have led, in the memoir, to short chapters, concentrated events, and little commentary on the scene. I remember being very unsure of my descriptive technique and the rhythmic and sonic texture of sentences and paragraphs (as contrasted with the lines of a poem) and reading at random in James Agee’s Let Us Now Praise Famous Men to saturate myself with someone who seemed to write a sensuous and observant prose that made for sinuous and interesting sentences. “Saturate” would be the right word—not an analytical thing, but an osmosis. As an experienced poet, what did you learn about writing from The Blessing? To be very respectful of prose writers for their descriptive skill, their ability to keep things moving, the whole art of story-telling in an extended narrative form. I never for a moment thought prose writing was easy, but there’s nothing like actually trying something for the first time to increase your respect for professional practitioners. I think I also learned that a lot of human experience is revealed more fully by following a thread (narrative thread, I guess) through time—that it takes much time and many different scenes to let certain major aspects of human experience accumulate their full power. Being a lyric poet, I’ve always wanted everything to be revealed in a single, crisis moment or a single focused dramatic encounter. Art (lyric art) can be like that, but life itself isn’t always that way. So, I guess I learned “patience” with a theme, letting a theme ease out a bit at a time. Patience is not an easily-acquired virtue or insight for lyric poets. We have very, very short attention spans. How long did the memoir’s actual composition and editing take you? I think it took about three years of sporadic work. Plus, I had been avoiding writing it for most of my life. In writing so intimately about your family and about yourself, were you concerned about reactions to the book from friends or family, or about forfeiting your own privacy? My own privacy didn’t concern me particularly, since I’ve written an autobiographical lyric for much of my life, so I am committed to the power and authenticity that can (theoretically) result from writing in that mode, writing about the incidents of your life and trying to wrestle them into meaning. I began writing the memoir shortly after my father was diagnosed with terminal cancer. My whole life, I had hoped to talk with him about the early traumatic events, including my brother’s death. I had always imagined we might resolve some of that suffering in conversation, and I tried one last time after his diagnosis, but he was quite adamant that there was nothing he could or would speak about. I felt very uneasy about that stance. For one thing, I felt (irrationally) that my father and I were linked by my brother’s death and by the deeply uncanny fact that he had also killed someone in a hunting accident (his best friend) when he was around the age I was when I killed my brother. This unnerving fact was a kind of unbearable but also unshareable secret between us. No, I could speak of my experience but he couldn’t and wouldn’t speak about his. Which was his prerogative, but when his death approached, I panicked and felt I needed to try to tell the whole story out as I understood it, so as to untangle my identity from my father’s. I was afraid he’d take me to the grave with him. (That sounds a bit odd, but so be it). So, I began to tell the story so as to sort it out once and for all as best I could with what I knew and what I could learn. If you want to call that therapeutic, go ahead. Of course, I worried about my family’s response, since the whole approach in my growing up was to hide the secrets and bear the shame of it all (whatever it was). There were complicated reactions from my family over time. My father lived long enough to see a draft of it, and was not happy about it, though in all other ways I think we parted with love, as best the two of us understood it at that time and in those circumstances. My siblings had understandably complicated responses, ranging from tears and gratitude to not speaking to me for several years as they worked through their feelings. The ethics of memoir is deeply complicated. I think I’d start by saying: I think everyone should have the right to tell our own story, the story of his or her own life. That said, things get complicated and concern for other people should be there also. The memoir of revenge isn’t very pretty, nor much of a gift to the world. What does Chekhov say: “compassion down to your fingertips?” That would be nice: compassion for others. But the lyric (poem or memoir) is also committed to the notion that the self telling and dramatizing its own truth can be an important human act. Not just for the self but for others also. My teacher Stanley Kunitz has a line where he speaks about “the voice of the solitary who makes others less alone.” That’s a social contribution out of a situation of lyric solitude. Were other memoirs helpful to you as models in writing The Blessing? Steve Kuusisto’s Planet of the Blind is a beautiful memoir and he told me he wrote it by thinking of the chapters as prose poems—I can’t remember if that was before or after my writing my own book, but it’s a wonderful way to think for a poet writing a memoir. Floyd Skloot has also written wonderfully in an autobiographical mode and he was very encouraging of me and to me—we first “met” through the mails when I had a year-long struggle with chronic fatigue syndrome and he wrote me with information, compassion, and a model of courage. I’m not as well read in the genre as I should be, though one of my favorite books ever is Maxim Gorki’s trilogy of autobiography/memoir: My Childhood, My Apprenticeship, My Universities. Extraordinary. I had not heard of this book, and I can’t imagine how hard it was to write. It sounds deeply worth pursuing. Thanks, Beth. I had not heard of it, either, and I think it was published in 2002, so it’s not a new memoir. But I didn’t know that, and the beauty and power of it moved me deeply. Wonderful review and interview. I’m planning to order the book this week! Also, one of the most accurate and relevant descriptions of a lyric poet I’ve ever heard! Great, Marissa. I think you will admire his memoir and be moved by it.